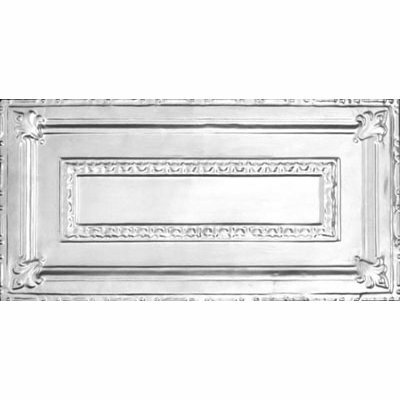 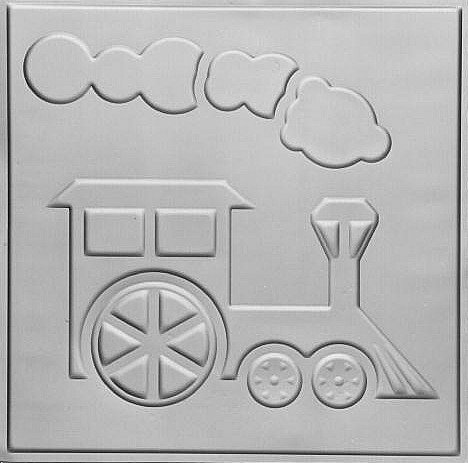 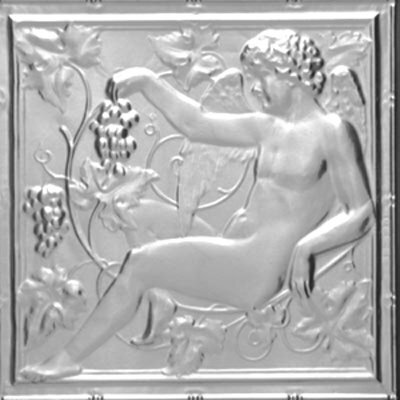 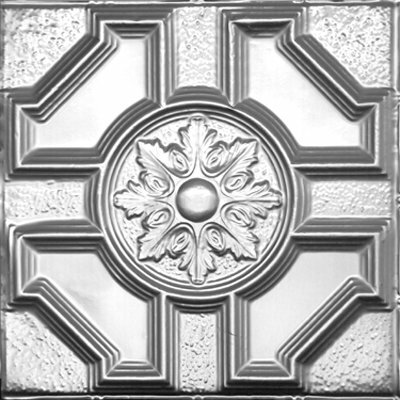 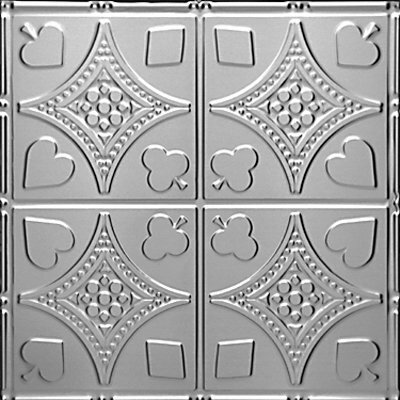 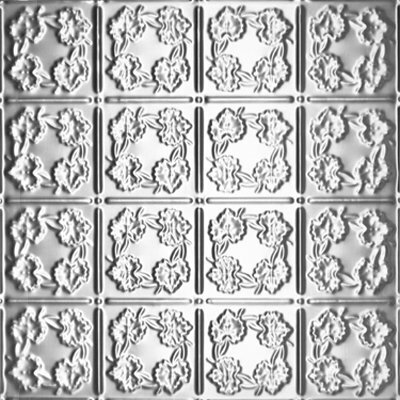 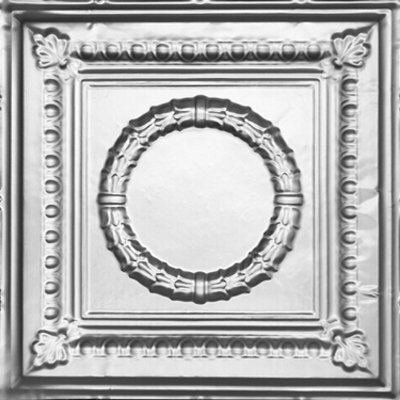 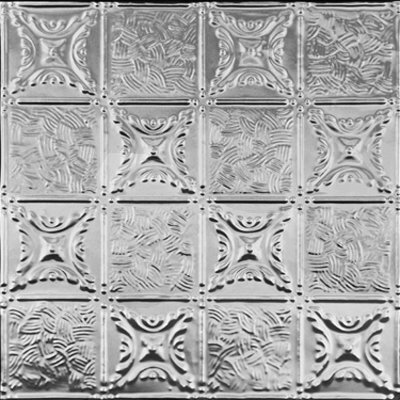 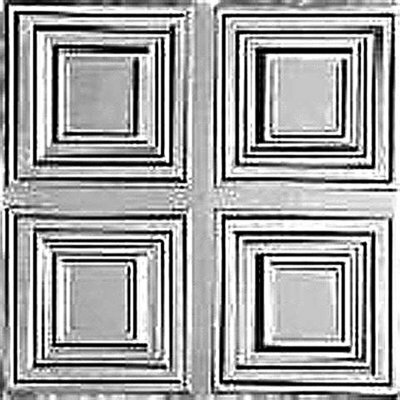 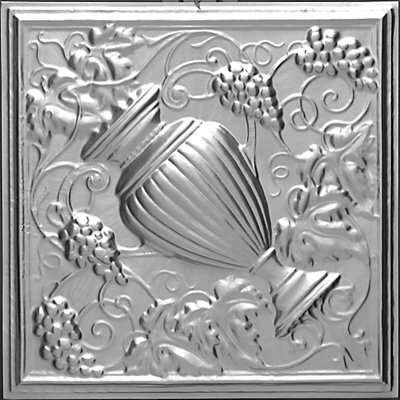 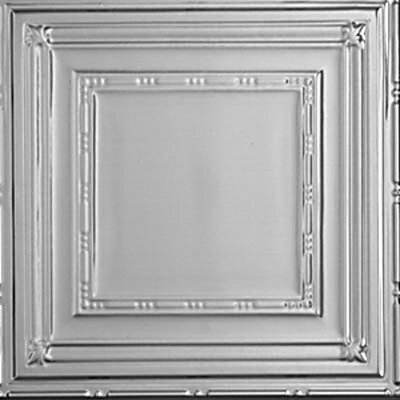 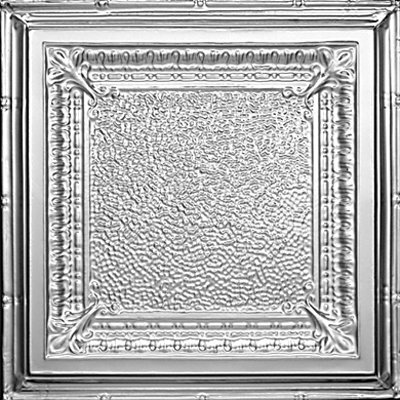 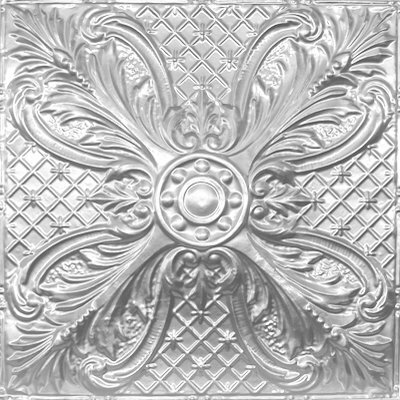 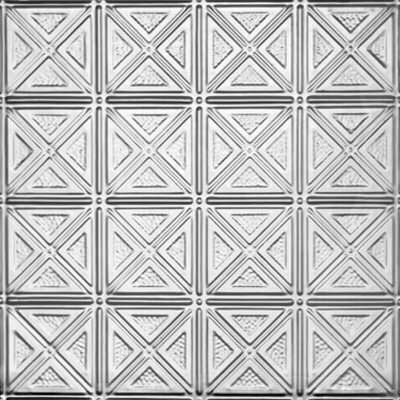 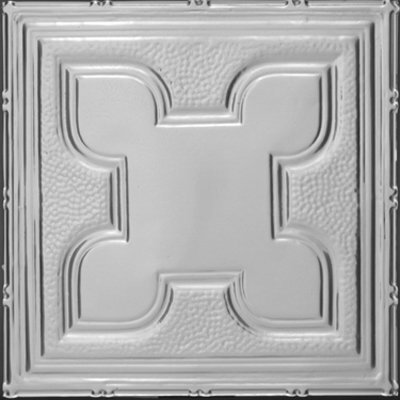 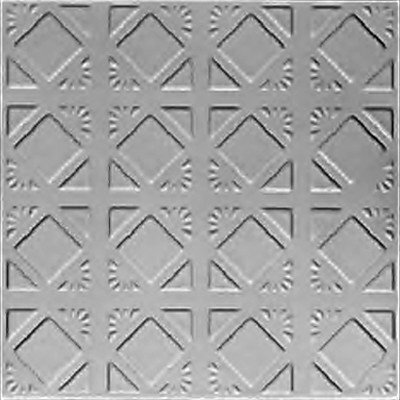 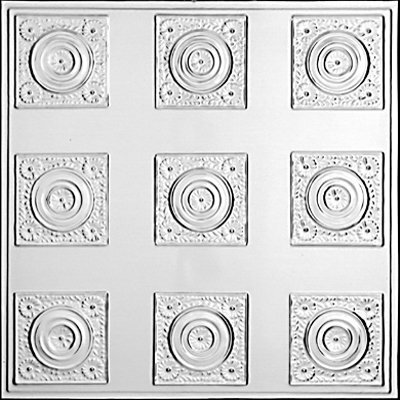 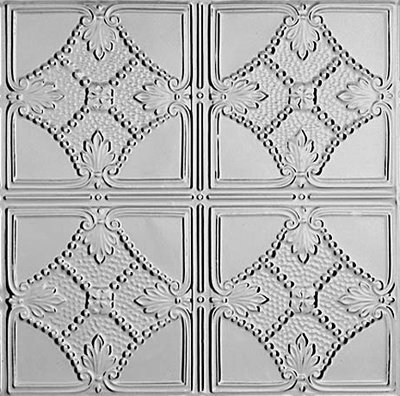 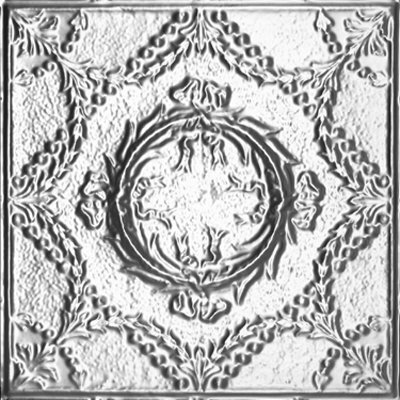 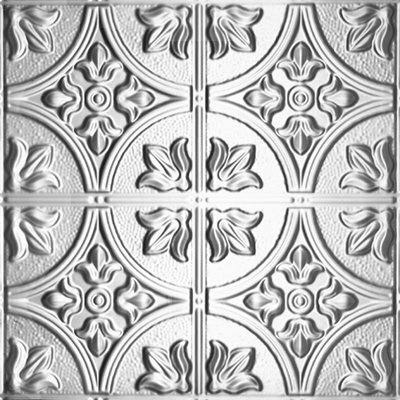 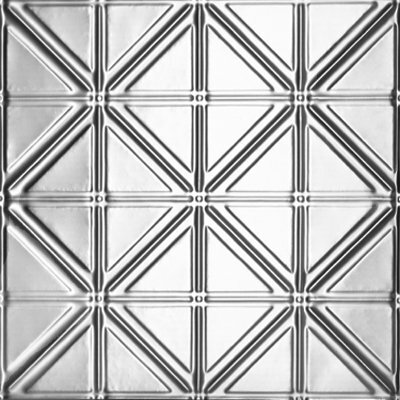 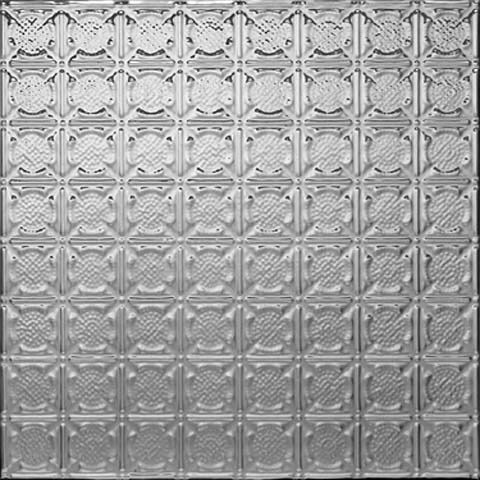 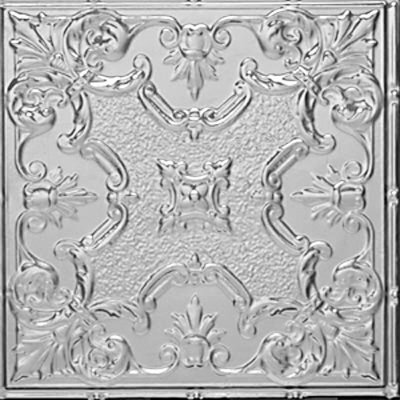 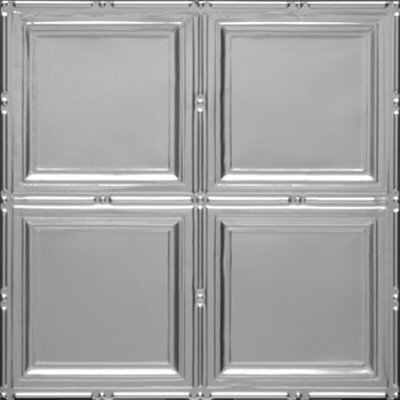 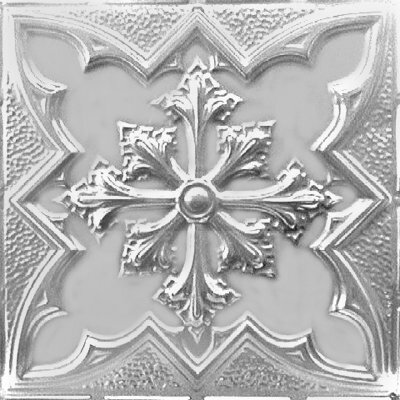 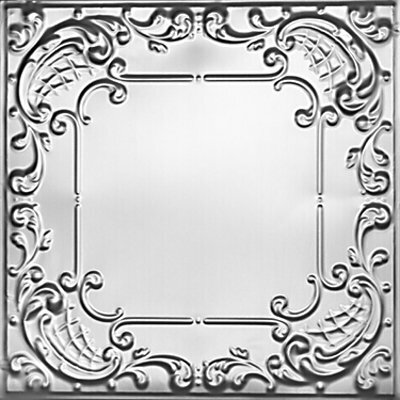 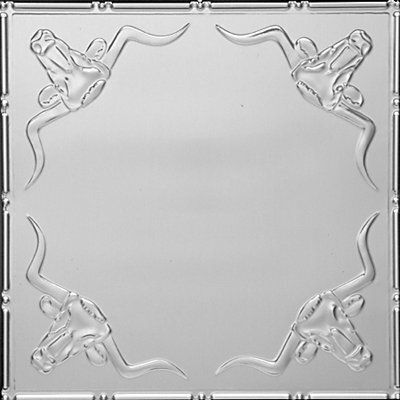 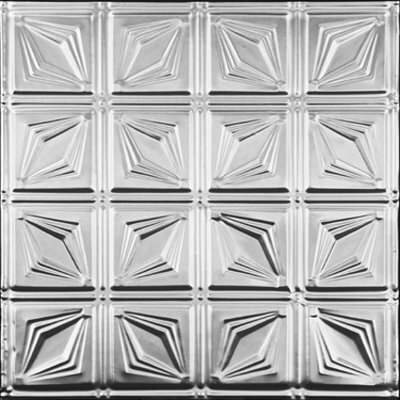 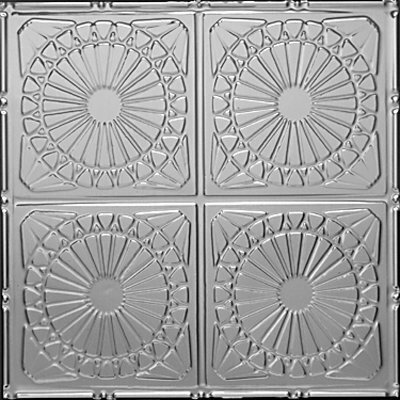 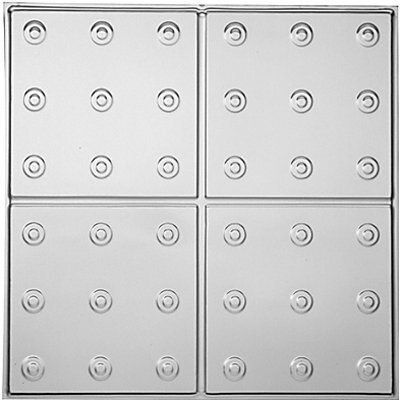 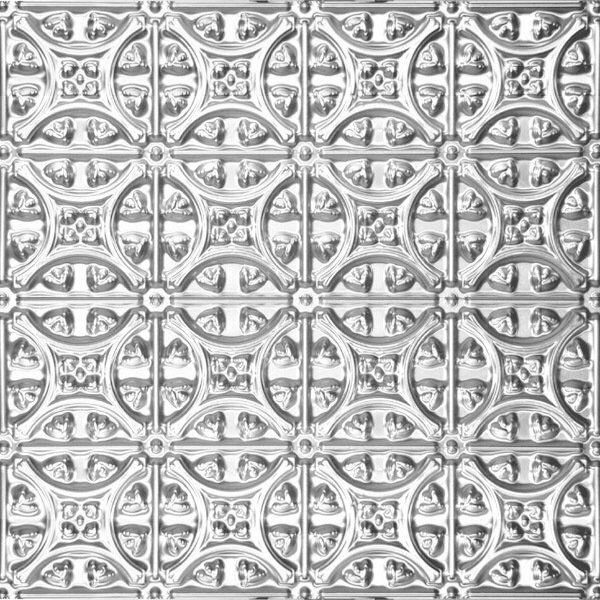 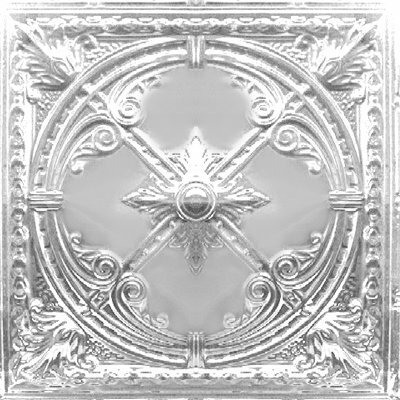 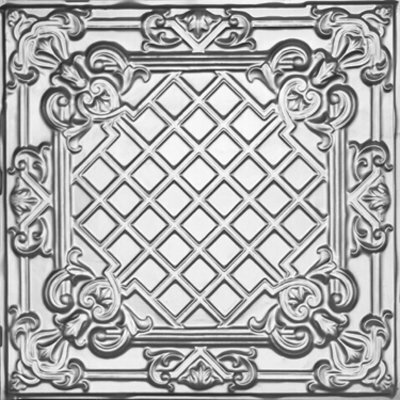 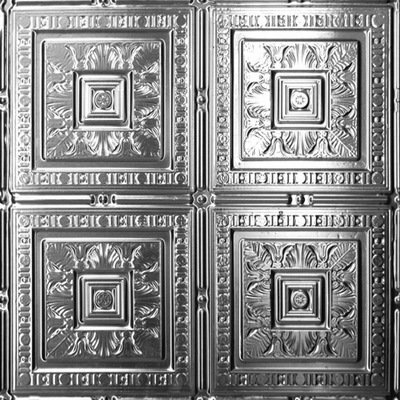 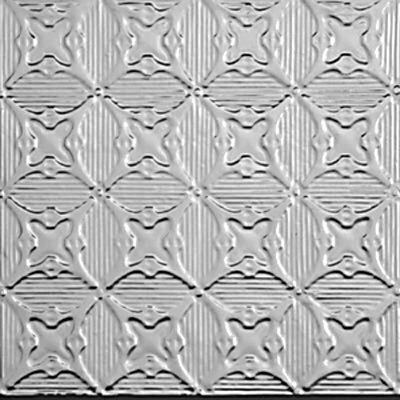 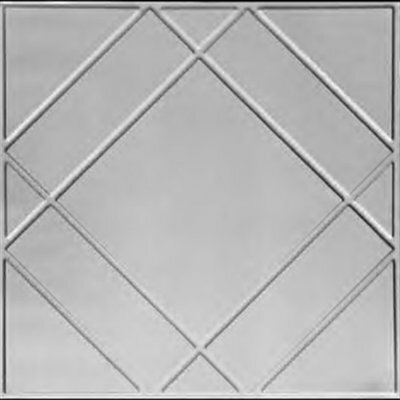 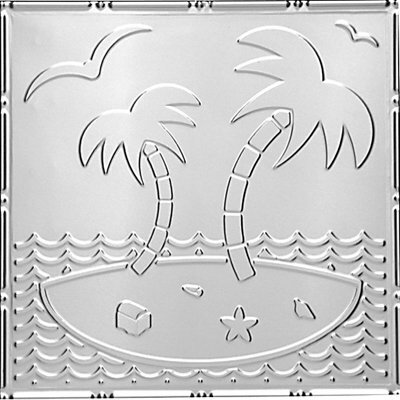 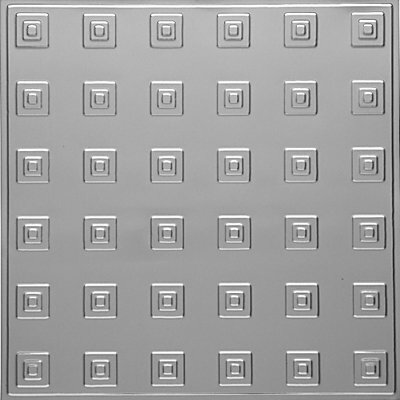 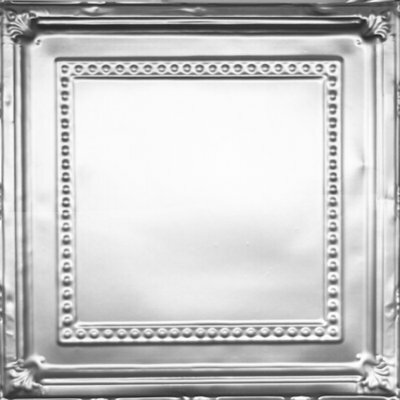 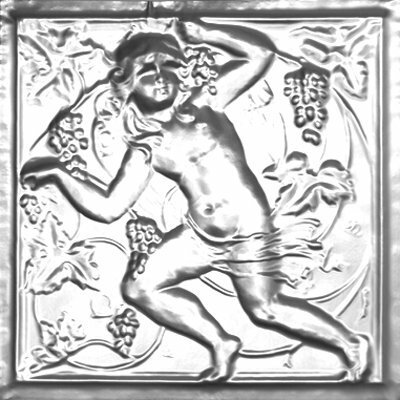 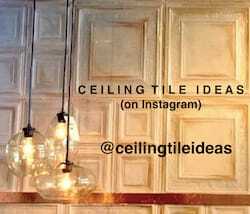 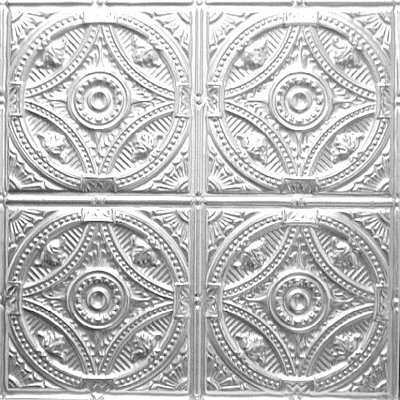 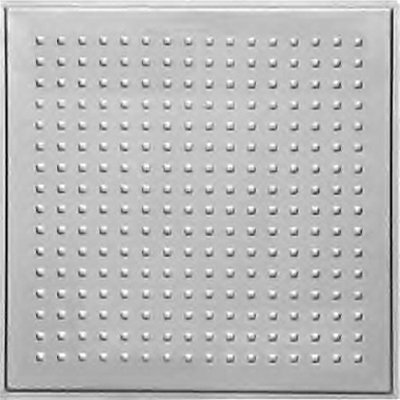 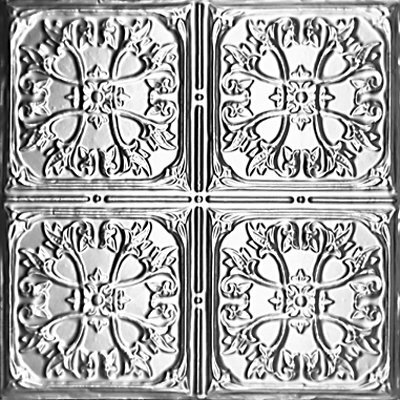 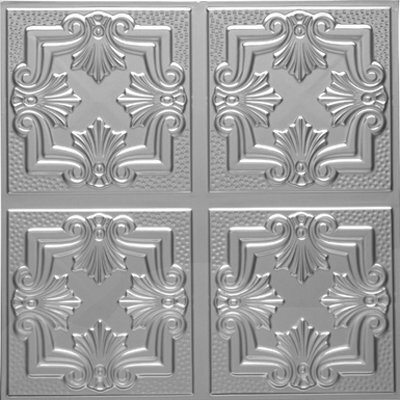 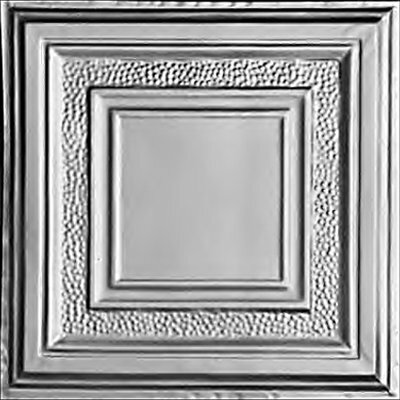 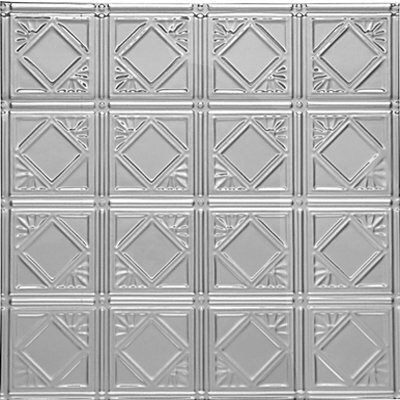 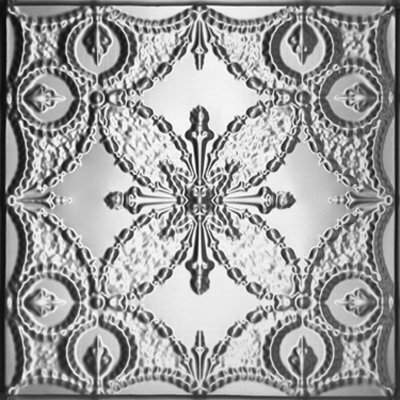 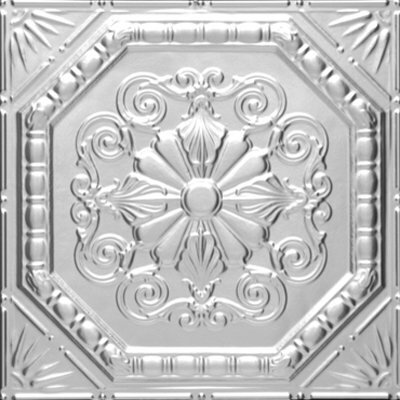 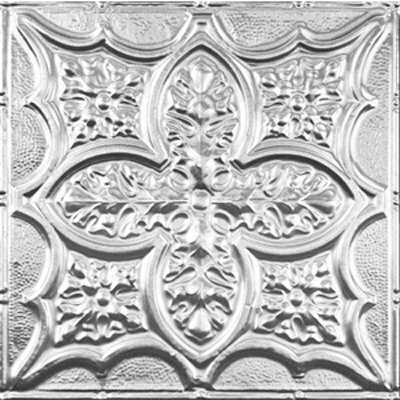 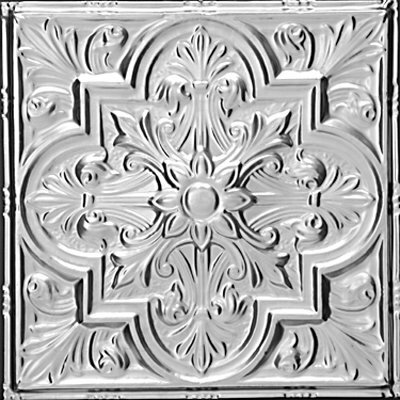 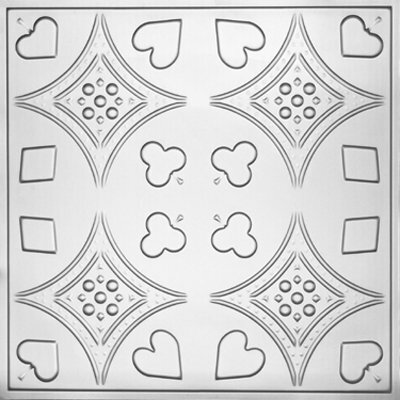 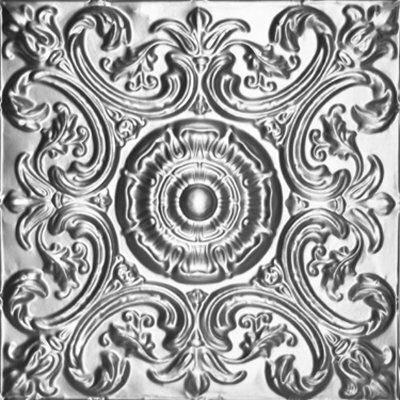 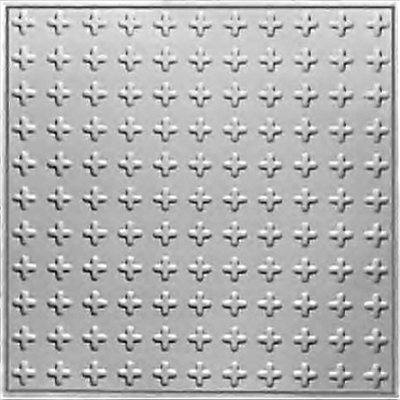 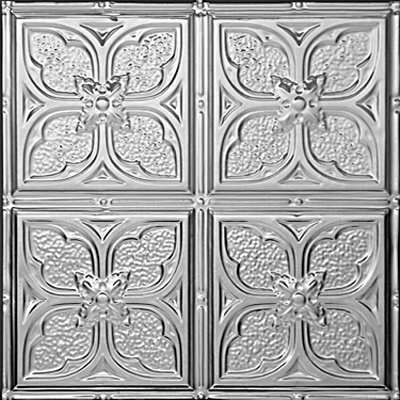 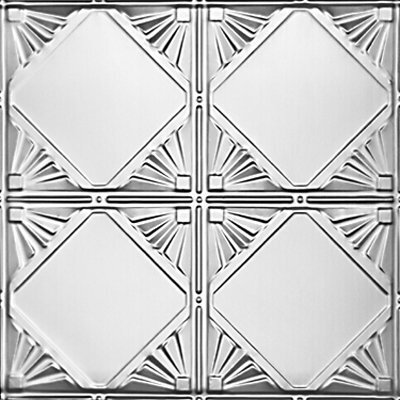 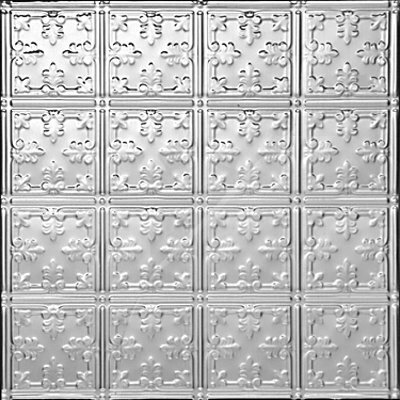 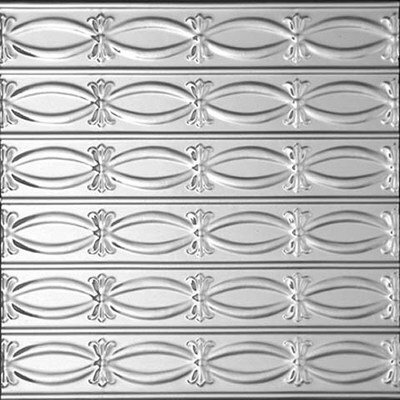 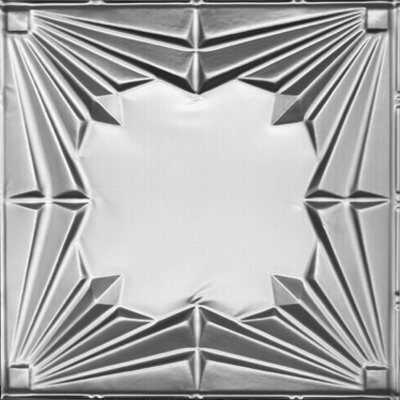 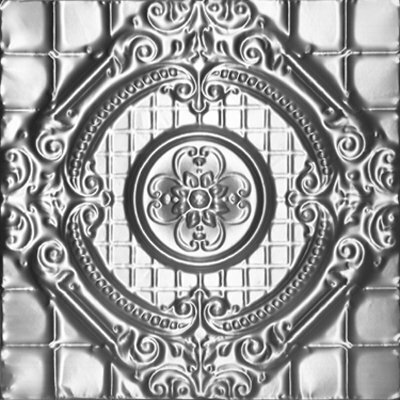 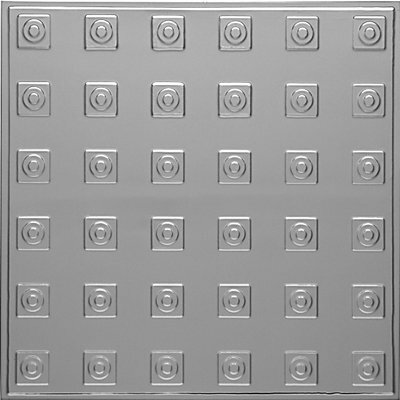 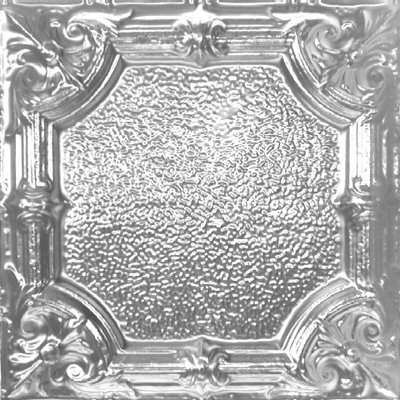 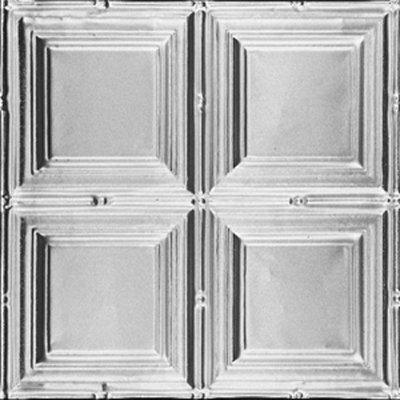 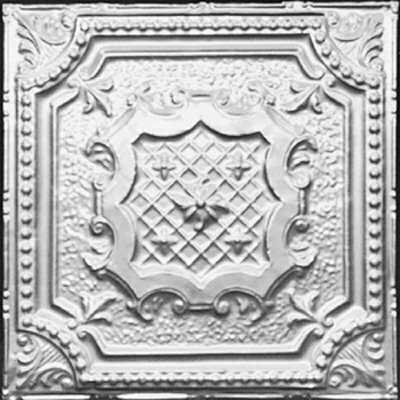 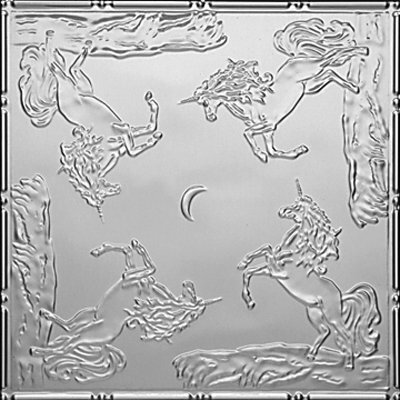 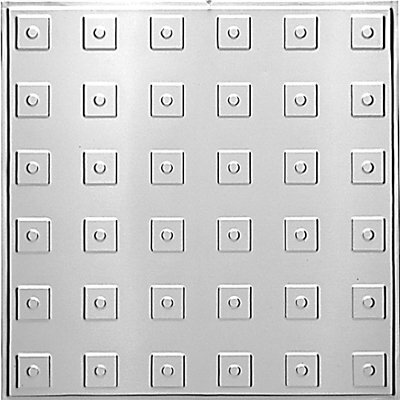 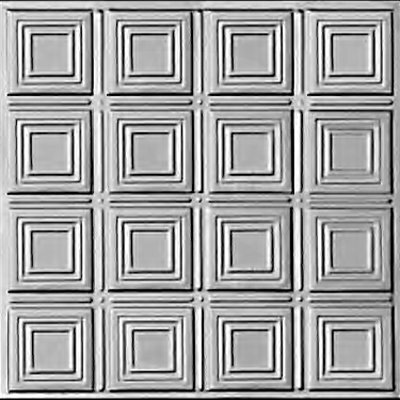 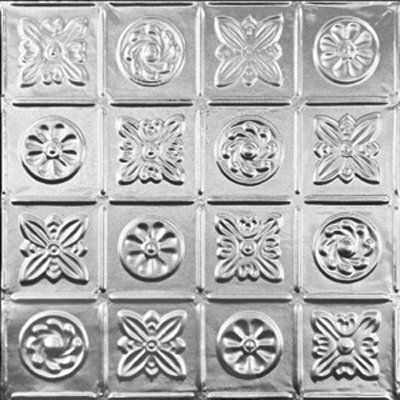 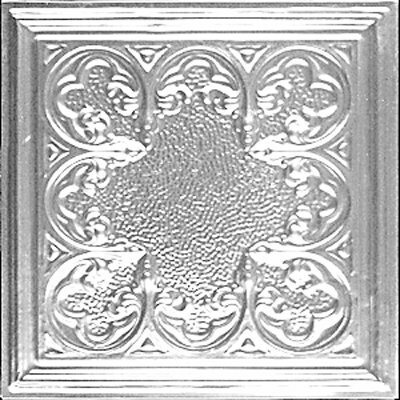 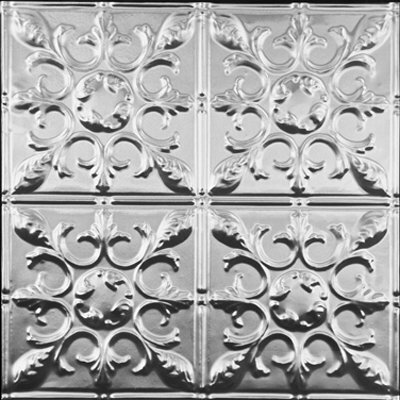 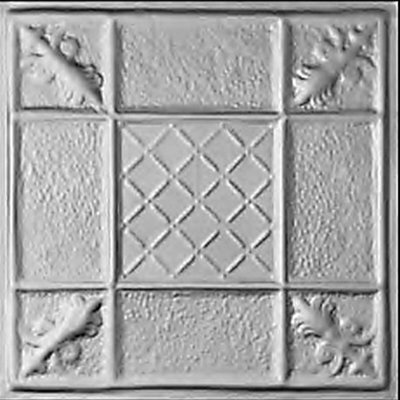 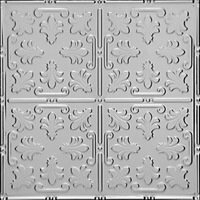 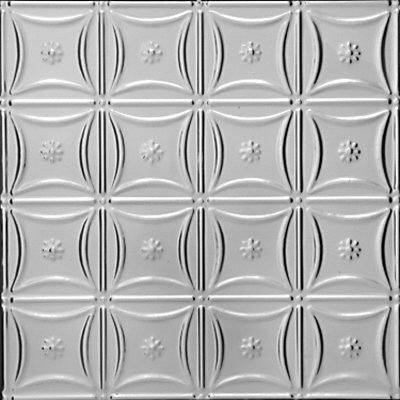 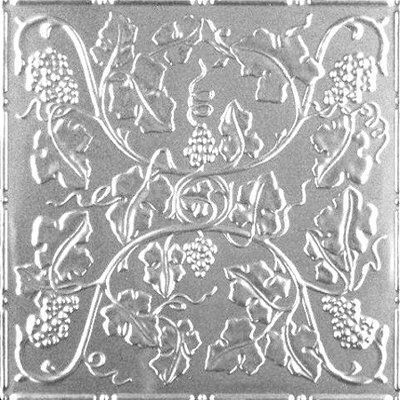 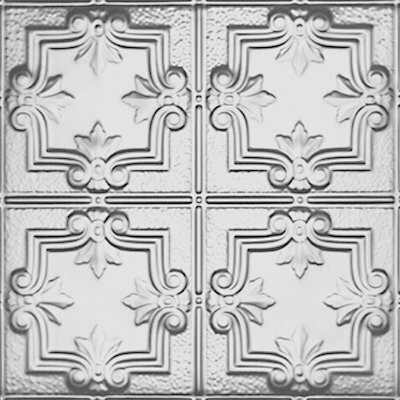 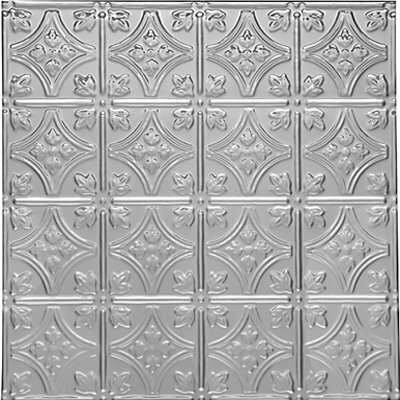 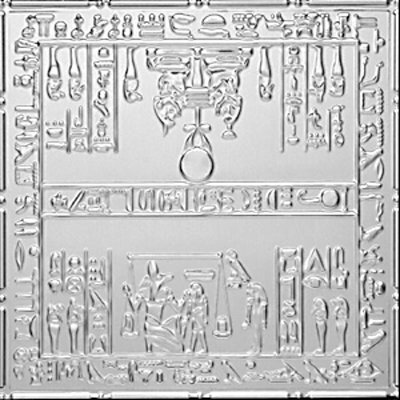 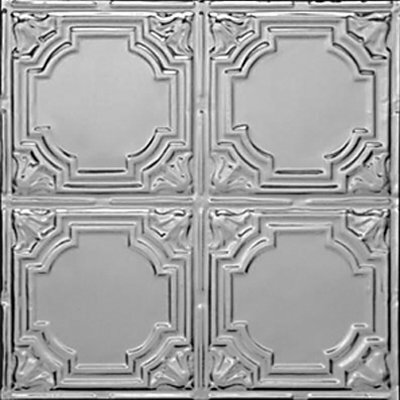 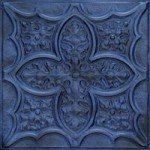 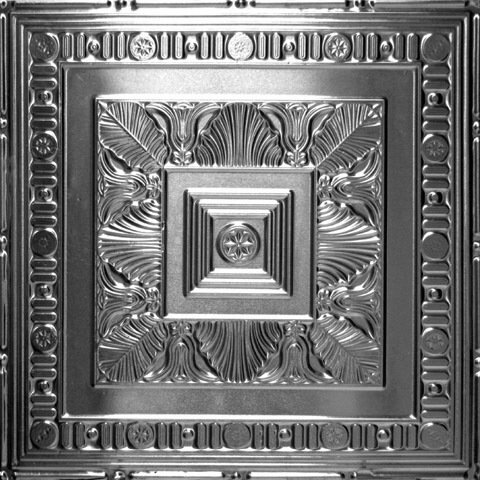 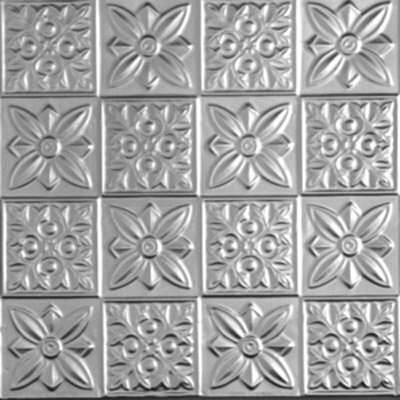 Tin ceiling tiles are a decorative element popularized in the United States in the late 19th and early 20th centuries as an alternative to the expensive and ornate European ceiling plasterwork. 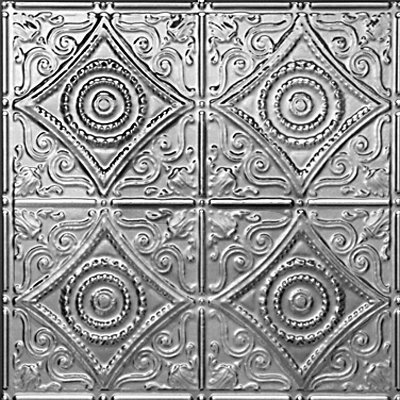 Tin became a uniquely American alternative — decoratively exquisite yet affordable. 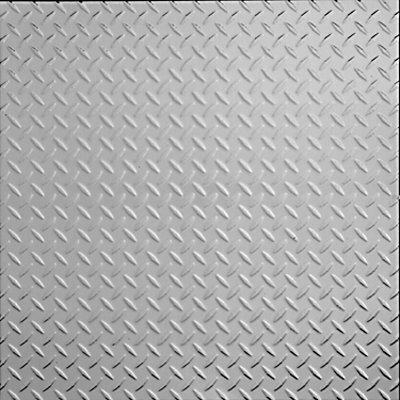 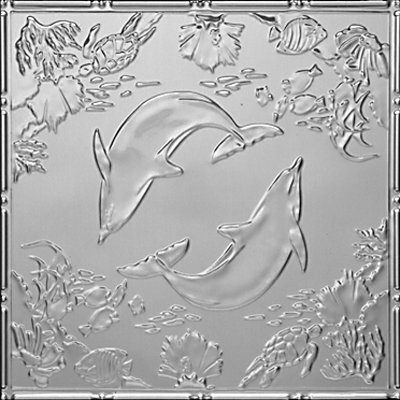 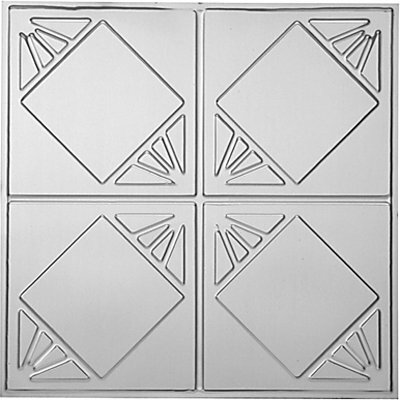 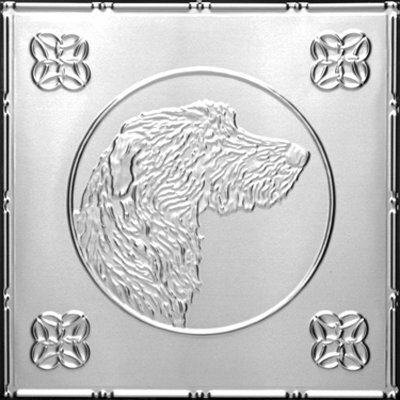 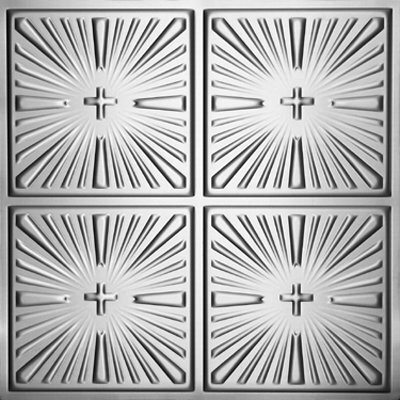 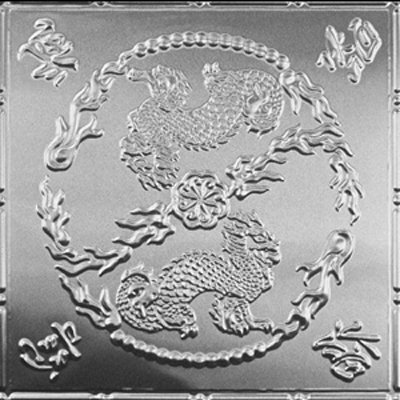 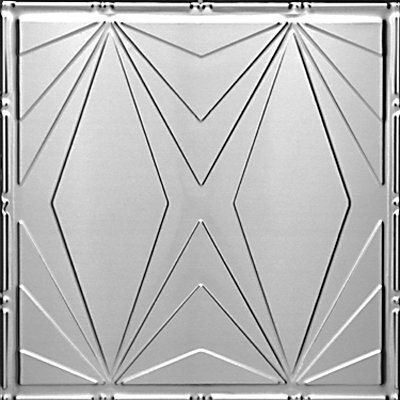 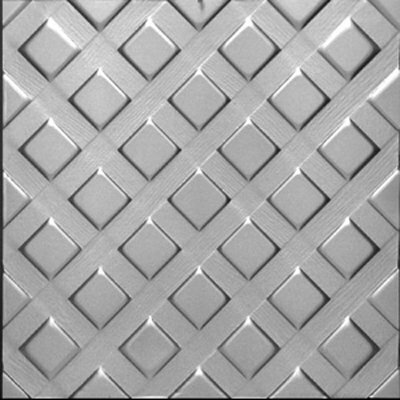 Made from tinplate or other metal sheets such as copper, brass, stainless steel and aluminum, patterns from simple to complex and sophisticated are stamped into the tin. 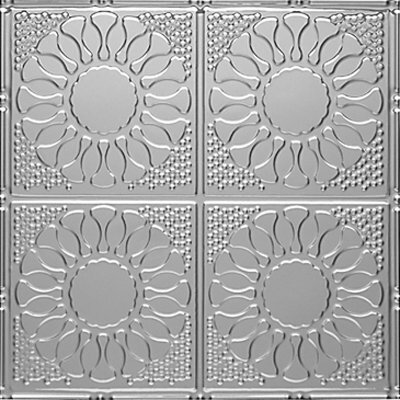 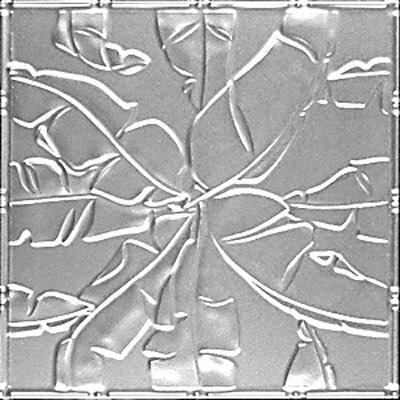 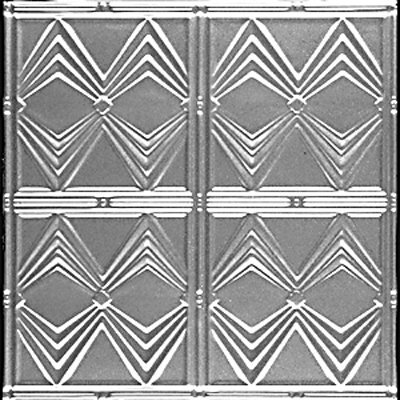 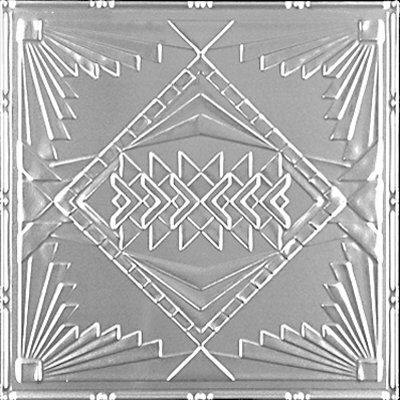 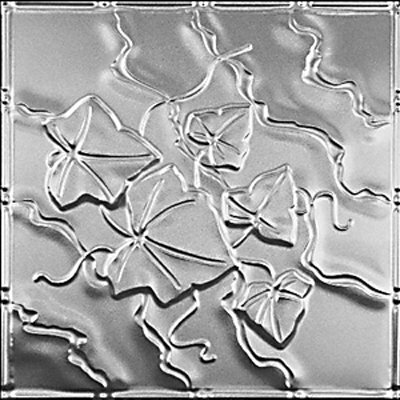 This stamping technique creates a three dimensional product that has the advantage of being able to be duplicated with precision and consistency. 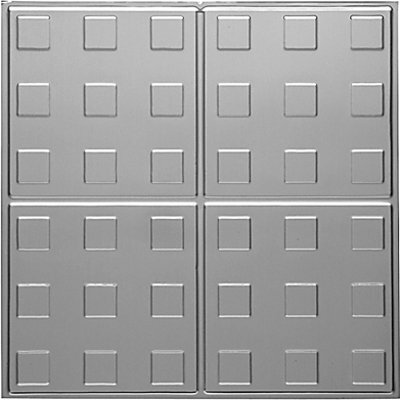 The fact that the metal is thin and light makes it very easy to maneuver and install without the need for expensive and obscure tools. 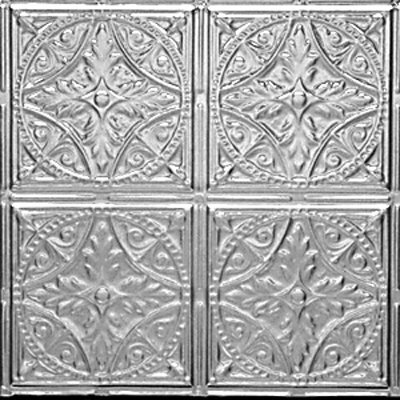 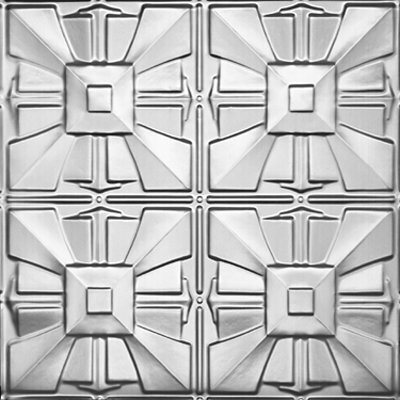 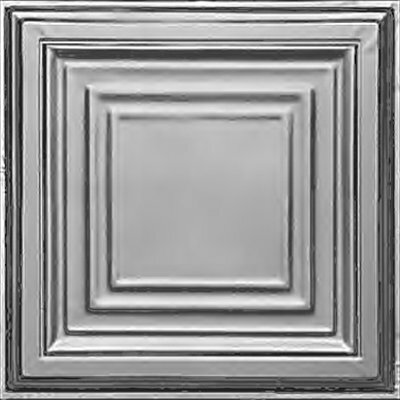 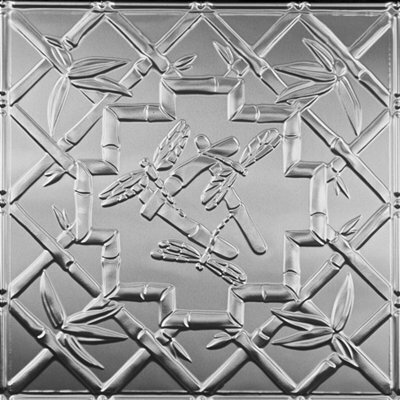 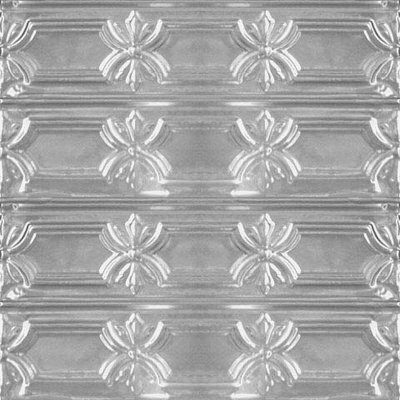 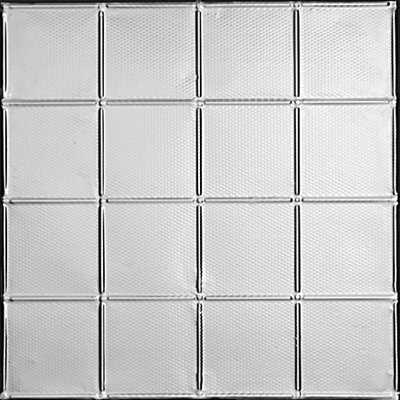 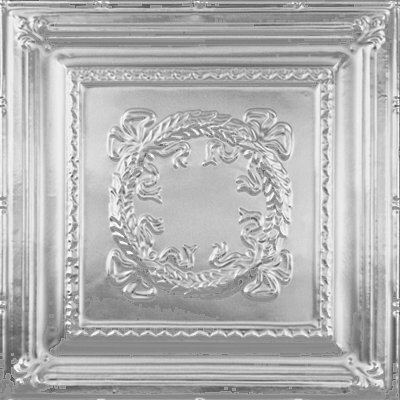 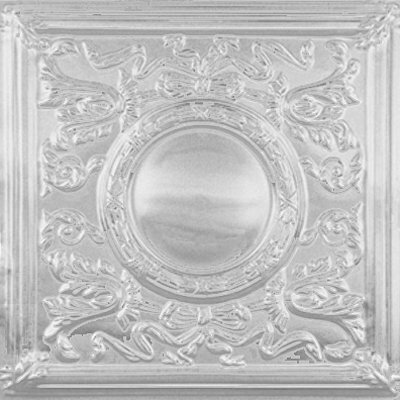 Even today, tin ceilings are often painted white to imitate the plaster ceilings of yesteryear but increasingly, consumers are choosing designer colors and finishes, hand painting the tiles to emphasize specific design elements and create a custom look, or opting for the original tin finish so they can enjoy the natural play of light and shadow as reflected off the metal. 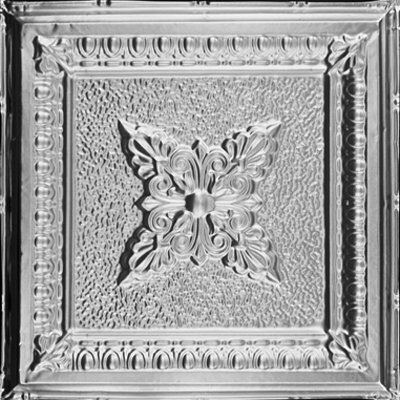 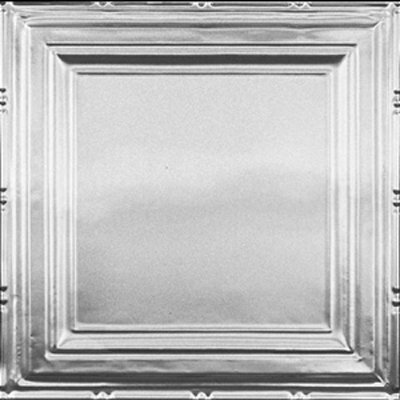 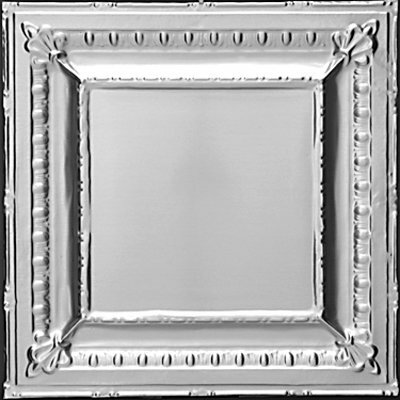 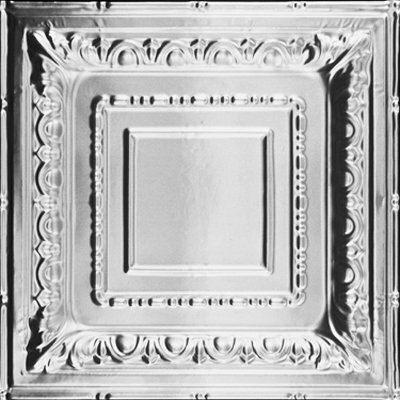 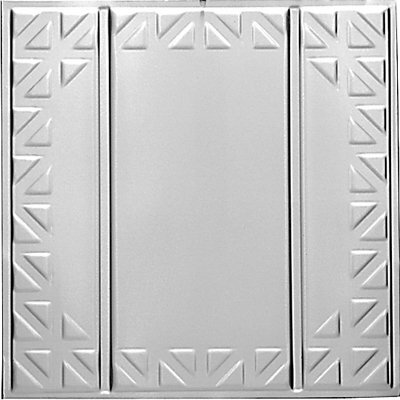 Although tin ceilings remained popular through America’s gilded age they began to lose their popularity in the 1930’s when depression era designers chose to ignore ceiling decorations to cut costs. 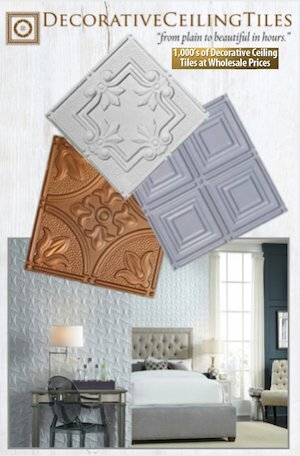 Pingback: Chalkboard Chic Inspiration Board | Party Hearty!